How does a boy become a man? How do institutions–family, church, sports–train him in the virtues so he might live a happy life and be a force for good in the world? How ought teenage boys to spend their time and relate to others? Have Americans forgotten what it means to be a boy and how to bring up their boys? 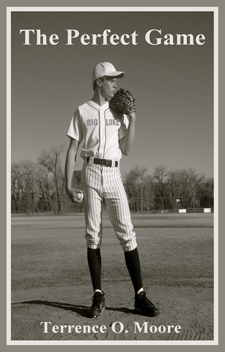 This is a story about one young man’s summer–about boys and baseball, about fishing and fighting, about friendship, family, and faith–about discovering the greater purposes of human life. A short novel about a thirteen-year-old boy and his experiences during one summer, _The Perfect Game_ puts forth a real hero (not today’s typical anti-hero) who must work through moral problems while enjoying his own adventures. He is no goody-goody or namby-pamby; he is a real boy with real passions. But he is also a man in training. The boys in this story do not sit around playing video games. They work. They play sports. They seek adventure. They love to win. They try to understand girls. They do things with their families. They trade insults without being vulgar and revel in their own humor. They live the strenuous life that all boys lived until not too long ago. Furthermore, the story unveils the workings of a good family. Tolstoy famously said that all happy families are the same, but each unhappy family is unhappy in its own way. Consequently, authors usually write about unhappy families. Our age could use a few good stories about happy families–so that we can order our own lives and turn adolescent boys into good men. The Perfect Game is such a story. The novel also takes up the question of man’s relation to God and particularly what God expects a man to be. The modern world has lost is sense of the Christian fighter, of fighting the good fight. The characters in this novel are both fighters and Christians. In short, this is a story not unlike the great American Westerns, though set in modern times. There are good guys and bad guys. There is a moral struggle. There are heroes. There is love.